Welcome back to the Green Rush! This week we have Part Two of our special broadcast from the floor of the Marijuana Business Conference in Las Vegas. At the mid-November conference, Lewis and Anne took to Podcaster’s Row to chat with a number of guests to discuss the growth of the conference, the excitement of the industry as a whole and get the low down on what’s coming up next for the burgeoning business of cannabis. For Part Two, we first have Lewis and Anne’s conversation with David Kretzmann, an Analyst/Investor with The Motley Fool – an investment news site designed to educate, amuse and enrich readers and help them make better financial decisions. As cannabis has grown from being a strictly illegal commodity to the fastest growing industry in the U.S., David has been one of the leading financial analysts looking at the space and helping the Motley Fool community of investors understand whether it makes sense for them to jump into the industry and what companies they should be watching. In the second half of the podcast, Lewis and Anne sit down with Bill Peters, reporter for Investor’s Business Daily – a financial news site providing ongoing support, research and news to help investors make more informed decisions. Formerly a general business reporter, Bill’s primary focus in the last year has shifted to cannabis due to the growth of the industry, the legalization of recreational cannabis in California and the way the industry has excited investors across North America. To wrap the episode, Lewis and Anne invite KCSA colleagues Annie Graf and Nick Opich into the booth to talk about what their seeing from the industry and the overall growth of Marijuana Business Conference. David started investing in stocks when he was 12 years old and has been a Fool ever since. 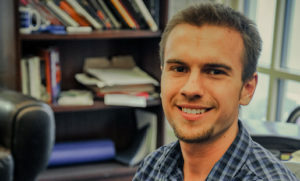 He is a graduate of Berea College as well as the Motley Fool’s Analyst Development Program, currently serving as an analyst in Rule Breakers and Supernova. Welcome back for another episode of the Green Rush! In this episode, Lewis and Anne sit down with famed talk show host Ricki Lake and respected indie director Abby Epstein to talk about their emotional documentary Weed the People. The documentary explores how cannabis may just be the most innovative cancer treatment available, yet one that’s also fraught with stigma. Released back in March, Weed the People is a work of wonderful storytelling that is sure to tug at your heart strings. In the episode, Lewis and Anne explore with their guests not only the film making process to develop and produce this deeply introspective piece but also Ricki and Abby’s own introductions to cannabis. If you haven’t had a chance to see the film, check out the link below in our notes to check out when the next screening will happen at a theater near you! 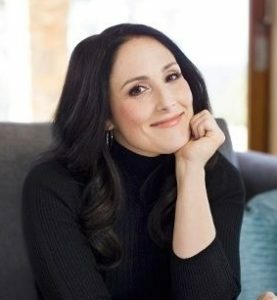 From acting and producing, to dancing her way into the hearts of television audiences, Emmy Award-winning television host Ricki Lake is a pop culture icon who has built a career on her graciously candid sensibility and her authentic, relatable nature. The world first met Lake in 1988 as Tracy Turnblad in John Waters’ film “Hairspray.” Lake’s legacy and perhaps her greatest love is her role as independent filmmaker. She has channeled her nurturing spirit and drive for social change into passion projects that are altering the way society views birth, breastfeeding, childhood obesity, birth control and now medical cannabis. Welcome back to the Green Rush, this week’s episode features our old friend Nick Opich subbing in alongside Anne while Lewis was out at the Cannabis World Congress and Business Expo in Los Angeles. For this week’s conversation, the Green Rush crew sits down with one of the first reporters to truly “own” the cannabis beat in Alex Halperin of WeedWeek. Alex has been chasing the green rush for over four years and is one of the most accomplished and well respected reporters covering the space. 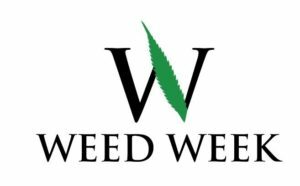 If you have any kind of interest in cannabis and have not yet signed up for the WeedWeek newsletter – do so now! In this week’s conversation, Anne and Nick chat with Alex about the growing acceptance of larger media companies to covering the cannabis industry, what Alex is seeing and anticipating ahead of the upcoming November elections, what Alex believes in one of the most underreported stories in the space and the latest news out of WeedWeek and Recharge 2019. Alex Halperin is a freelance business reporter where he has been covering the green rush for almost four years. Alex founded WeedWeek (WeedWeek.net) and writes the High Time column for the Guardian. In addition, his work as appeared in The Washington Post, The Atlantic, Mother Jones, Fast Company and many other publications. This episode was hosted by Anne Donohoe and Nick Opich. Welcome to another episode of the Green Rush! Anne is off this week enjoying a getaway to Europe so Lewis has employed the help of Nick for this episode’s chat with Deb Borchardt, Co-Founder, CEO, and Editor-In-Chief of Green Market Report, a financial news site focused on covering the biggest news in the cannabis industry. This is Deb’s second appearance on the Green Rush and she’s since her last appearance she’s expanded her duties beyond just publishing. Deb is also the Founder of the Green Market Summit, a new conference series meant to bring together the most respected companies, brands and executives, yielding the most experience and knowledge available in the cannabis industry. 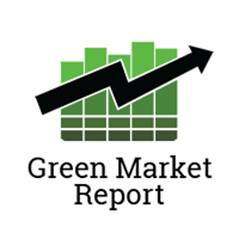 In partnership with the TheStreet.com, the inaugural Green Market Summit will take place on September 14 in New York City at the One World Trade Center and will cover the The Advanced Economic State Of Cannabis. In this week’s chat, the Green Rush team and Deb chat about some of the key cannabis ballot initiatives across the country, how the lack of banking access is affecting cannabis businesses and whether its getting to be too late for smaller entrepreneurs to jump into the space and compete against the behemoths in Canopy, Acreage Holdings and Curaleaf. Welcome back to another episode of the Green Rush! This week, Anne, & Lewis chat with fellow New Jerseyan Beth Stavola, the Chief Operating Officer of MPX Bioceutical, one of the leading, vertically integrated holding companies in the cannabis industry. Beth began her cannabis journey in 2012, shortly after Arizona voters approved medical cannabis in the state, and opened one of the first dispensaries along Arizona’s southern border in the town of Douglas. Since then, she’s built a cannabis empire that stretches across the U.S. and was most recently acquired by MPX in January 2017 for $25 million. In this week’s conversation, Beth dives in on a number of topics including the differences in running a public cannabis company in Canada vs. being public in the US, the role of women and minorities in the burgeoning cannabis industry and how she was able to convince her younger sister to follow in her footsteps and into the cannabis industry. Beth Stavola is the Chief Operating Officer of MPX Bioceutical, one of the leading, vertically integrated holding companies in the cannabis industry. 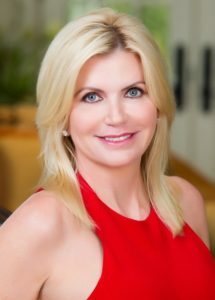 In addition to her role with MPX, Beth is also the Founder and CEO of Stavola Medical Marijuana Holdings, Health for Life Inc, GreenMart of Nevada, and CBD For Life. Before her career in cannabis, Beth was Senior Vice President of Institutional Equity Sales at Jefferies New York. 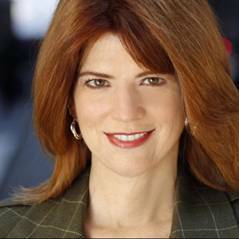 Like our favorite co-host Anne, Beth is also a proud graduate of Monmouth University. 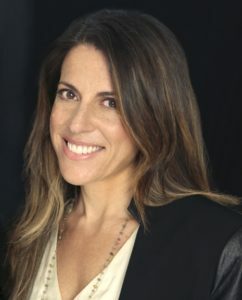 This episode was hosted by Lewis Goldberg and Anne Donohoe. 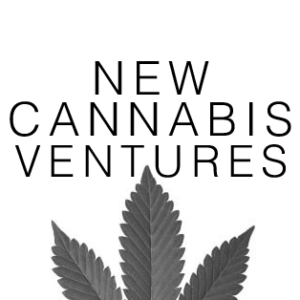 This week on the Green Rush Podcast, Lewis and Anne welcome back Alan Brochstein of 420 Investor and New Cannabis Ventures back into the studio. Alan is a unique voice in the cannabis industry because he was really the first investment professional to make a career out of covering the cannabis space from an investor’s perspective publicly. When he speaks, investors listen. In this week’s episode, Alan discusses the latest news on the the cannabis markets in both the United States and Canada including some of the major deals from companies like Aurora and Canopy; offers insight into which IPOs/RTOs he’s most looking forward to in 2018 and touches on the impending legalization day for Canada and what investors should know as we approach October 17th. Alan Brochstein, CFA, was the first investment professional to devote himself to sharing his observations about the cannabis industry from an investor’s perspective publicly. He runs 420 Investor, a subscription-based due diligence platform for investors interested in the publicly-traded cannabis stocks and is also the founder of New Cannabis Ventures, a content aggregation site focused on investors and entrepreneurs in the cannabis industry. Alan has worked in the securities industry since 1986, primarily with the responsibility for managing investments in institutional environments until he founded AB Analytical Services in 2007 in order to provide independent research and consulting to registered investment advisors. 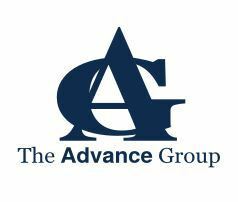 In addition to advising several different hedge funds and investment managers, including Friedberg Investment Management, where he participated as a member of its investment management committee, Alan was also a senior analyst for the independent research firm Management CV. In 2008, he began providing a first-of-its-kind subscription-based service for individual investors, Invest By Model, which offered two different portfolios that investors could replicate in their own accounts for $20 per month. Alan also offered The Analytical Trader at Marketfy, where he used fundamental and technical analysis in a disciplined process to offer specific trade ideas geared towards swing traders. 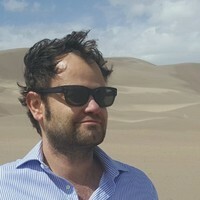 Alan launched www.420Investor.com in late 2013 as the premier source of information for “Green Rush” investors seeking to capitalize on the proliferation of legalized medical and recreational cannabis. In March 2014, Alan, who is a member of the National Cannabis Industry Association, began to focus solely on the cannabis sector. 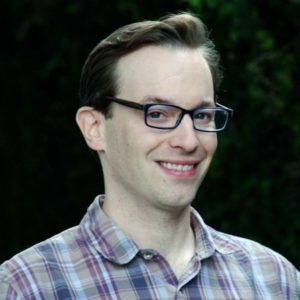 He launched www.NewCannabisVentures.com in late 2015. In the latest edition of the Green Rush Podcast, Lewis and Anne sit down with George Allen, President of Acreage Holdings, the U.S.’ largest national cannabis operator and brand, to discuss the company’s $119 million funding round, the largest private equity round in U.S. cannabis history. George touches on how raising capital for the cannabis space differs vs. traditional industries and why the company was able to find greater success during this round of funding with high net worth individuals vs. institutional investors. In addition, George provides more insights on the recruitment of Former Speaker John Boehner to join the Acreage board, the valuation of licenses across the country and the pressure Wall Street is putting on the White house to move towards rescheduling cannabis. George Allen is a seasoned executive with extensive financing and transaction experience, who was previously Chief Investment Officer of Cambridge Information Group (CIG), where he managed a portfolio of private and public direct investments as well as a collection of indirect investments, and founded an internally managed hedge fund focused on global growth equities.Mr. Allen managed corporate development at Blucora, a CIG Investment, guiding the company as it transformed into a successful public leader in its vertical that now operates independently, securing an extremely profitable investment for CIG on its four-year investment. Prior to Blucora, Mr. Allen spent nine years at Warburg Pincus, managing investments in the communication, media and technology sectors, and Goldman Sachs in New York and Hong Kong, where he invested capital in distressed securities. 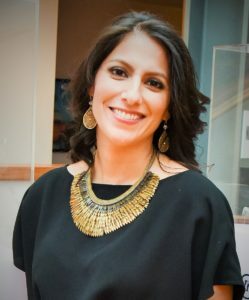 This week on the Green Rush Podcast, Lewis and Anne chat with one of the most influential executives in cannabis that you likely haven’t heard of, Tahira Rehmatullah, CFO of MTech Acquisition Corporation. Tahira has an expansive cannabis background – in addition to her work with MTech, she is also Managing Director of Hypur Ventures and a Director of Dope Media. Prior to her current roles, Tahira served as General Manager of Marley Natural, where she was responsible for the brand’s launch and managing day-to-day operations of the company. In this week’s episode, the Green Rush team and Tahira discuss social justice issues within the cannabis space, how policy has failed to address these concerns, and how she feels obligated to pay it forward to newcomers and minorities joining the industry. Tahira also touches on Canada’s recent decision to federally legalize cannabis and the implications this decision will have on US markets, and the recent trends regarding M&A activity in the industry. Fortune Magazine has called Tahira Rehmatullah is one of the top 5 most powerful women in pot and Business Insider has deemed her one of the rising stars of the marijuana investment scene. Tahira is the Chief Financial Officer at a company called MTech Acquisition Corporation, which is one of the few publicly traded cannabis focused companies on the NASDAQ. 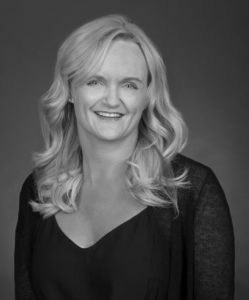 Under her leadership, they completed a $50M IPO earlier this year and the company’s focus will be on acquiring an ancillary cannabis business, with a particular sector focus that includes compliance, business intelligence, brand development and media. On the latest edition of the Green Rush, Lewis and Anne begin to take a look at the role cannabis will play in shaping the midterm elections across the United States and in particular New York state. Joining them this week is Scott Levenson, one of New York’s most influential public affairs specialists and the President and Founder of The Advance Group, which has helped elect hundreds of state officials from governors down to city council members. The Green Rush team explores with Scott the current cannabis landscape in New York and whether Democratic challenger, Cynthia Nixon, is truly influencing Governor Andrew Cuomo’s stance on the issue of cannabis. In addition, Scott offers an in-depth look at how the general assembly in New York is approaching the cannabis issue, why the lack of diversity and social responsibility in the industry is holding it back and what voters can do to make their voices heard. 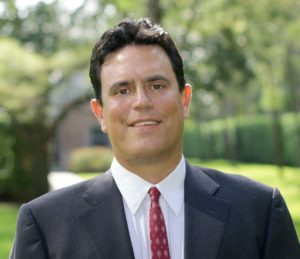 Scott Levenson is an internationally recognized consultant and has built The Advance Group into one of the country’s leading strategic consulting firms. Scott created The Advance Group following a decade of community organizing and labor union organizing, which included serving as the lead advance person for Jesse Jackson’s Presidential Campaign in 1988 and as Director of Advance for David Dinkins’ mayoral campaign in 1989. Scott ran Mark Green’s successful 1993 race to become New York City’s first elected Public Advocate, and from 1994 through 1999, he served as Chief of Operations for the Office of the Public Advocate of the City of New York. Scott also served as the Campaign Director for both Mr. Green’s 1998 run for the U.S. Senate and Ruth Messinger’s 1997 campaign for Mayor of New York City. 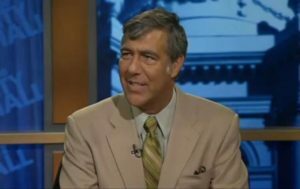 Scott is a national commentator on New York City and national Democratic politics. He can often be seen on television, radio and in print media. Scott is a trained organizer and campaign veteran with a national reputation. A Political Science major with a specialty in African Studies at Boston University, Scott has a son, Sebastian, and lives in Forest Hills, New York. On this week’s episode of The Green Rush, Lewis and Anne are joined by Lynn Honderd, CEO and Co-Founder of Mary’s Medicinals and one of the leading executives in the medical cannabis space. Mary’s Medicinals is one of the best known brands in the space and is the leading producer of pharmaceutical-grade cannabis products, including its award-winning products – a patent-pending transdermal cannabis patch and patented dispenser gel pen as well as the Mary’s Distillate Vape Kit and Vape Pen. During their conversation, Lewis and Anne chat with Lynn about building a nationwide cannabis brand, the difficulty in obtaining patents in the cannabis industry and what’s in store for the future of Mary’s Medicinals. Lynn Honderd is co-founder and Chief Executive Officer of Mary’s Medicinals, Mary’s Nutritionals and Mary’s Pets. Since 2013, Mary’s has been leading the industry as a pioneer of cannabis delivery methods. Honderd has been instrumental in positioning Mary’s as one of the nation’s most innovative and fastest growing companies in its sector. 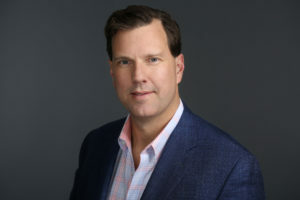 Prior to Mary’s, Honderd served in a variety of senior finance positions at organizations including Bank of America and UBS Paine Webber.Honderd holds a B.S. in finance from Pepperdine University and a B.S. in international business from the University of San Francisco. Special thanks to Producer Nick Opich and Program Director Shea Gunther at Marijuana Today.